Café Anastasia • Tips, Trends & News in 60 Seconds or Less! Amidst the hustle and bustle of downtown Laguna Beach lies a quiet side street, totally different from the hectic surrounding area. Café Anastasia is nestled into a peaceful alley with ample parking nearby. This Laguna gem offers artfully prepared breakfast and brunch choices. 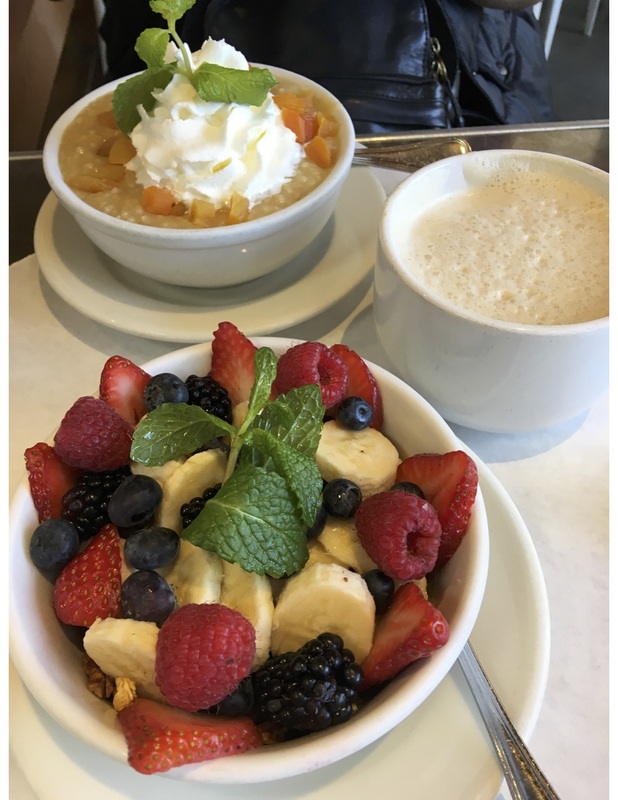 I ordered the homemade granola bowl with loads of fresh fruit and yogurt and my friend, Nina, ordered a heaping bowl of apricot cream oatmeal. The café is connected with a fashionable boutique and all orders are made at the counter, making Anastasia a more unique choice for your next trendy brunch! There is indoor seating and a beautiful little patio to choose from. On a chilly winter day by the beach, Nina and I came bundled up and sat outside to dine in the fresh ocean air. Prices are typical OC brunch prices, upwards of $12 dollars an order, plus a few bucks for the nearby parking lot. I have done my sampling of hyped up eateries in the area and I would definitely deem Café Anastasia worthy of the extra dollars. Next time you’ve finished up a beach day in Laguna, definitely stop over at Café Anastasia to satisfy your hunger and cravings and get those Insta-worthy pictures.